Bolus covers a wide range of topics—from “the Duke” at the Derby; to the famous Derby photograph of the Fighting Finish in 1933; to his favorite Derby, the 1969 running. Also included are such champions as Whirlaway, Exterminator, Secretariat, Spend a Buck, and Nashua. Bolus has devoted a chapter to the Stevens family, whose horse-racing roots trace back more than 120 years, and to the Derby chart callers, those men who through the years have documented the race for posterity. Bolus also relates his own personal experiences as a bettor (and a loser!) on the Derby. In particular, he devotes a chapter to Holy Land, a horse who ran in the 1970 race but lost his jockey and the race. It’s a pick Bolus has been kidded about a lot over the years. An authority on the subject, Jim Bolus has conducted hundreds of interviews about the Derby. With this book, readers will understand his passion for the grand old race and its traditions as they learn why so many get Derby fever every spring. The late Jim Bolus, who attended his 37th Kentucky Derby in 1996, hadn’t missed the race in more than 20 years. 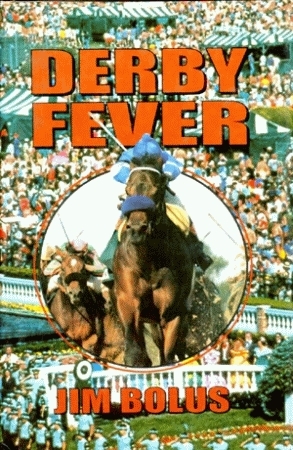 Dubbed a “Doctor of Derbyology” by one newspaper reporter, Bolus also wrote Derby Dreams, Remembering the Derby, Kentucky Derby Stories, and Derby Magic, all published by Pelican.